Steven Giordano was born in 1970 in a suburb of Los Angeles, California. His early childhood included a move to Las Cruces, New Mexico in 1978, followed by a move to Albuquerque, NM in 1984. Steven was raised in a devout Catholic home and attended church with his parents up until his graduation from high school. Following high school graduation, Steven joined the United States Army. After completing numerous specialized schools, Steven successfully completed the rigorous qualification process and was selected to be a team member with the elite “Company D,” 105th M.I. Bn., Long Range Surveillance Detachment (L.R.S.D. ), at the Joint Readiness Training Center in Fort Polk, Louisiana. Steven had not stepped into or been a part of any church or “religious denomination” during, or after his military service. In fact, after so many bad experiences with “religion,” he became very cynical towards church all together. After 12 years of not attending any type of church service, Steven reluctantly accepted an invitation to attend a morning service, in which Bro. Jerry Amalong would be bringing the morning message. Bro. Amalong is who officiated the wedding for Steven and Amy 8 years prior. Bro. Amalong gave a clear presentation of the Gospel, and Steven understood why Jesus Christ suffered and died on the Cross at Calvary and unquestionably, knew his need for the Saviour. That day, on April 22, 2001, Steven put his faith and trust in Jesus Christ and Jesus Christ alone to be his Saviour and the Lord of his life! In 2006, Steven and his wife Amy found their new church home and church family at Mesa Baptist Church in Rio Rancho, NM. The friendship that developed between Pastor Jeff Carr and Steven was no doubt designed by the Lord; and it was there, under the leadership and ministry of Pastor Jeff Carr that Steven grew in his walk with the Lord. During the Sunday evening service on November 30, 2008, the Holy Spirit was leading and calling Steven to surrender to the Gospel Ministry as a Pastor. After meeting with Pastor Carr and praying diligently about his call, Steven surrendered and said “Yes!” to the Lord’s calling on January the 9, 2009. Steven remained unwavering in his commitment to serve the Lord, and in 2013, he was blessed with the opportunity to work in a practical ministry internship at New Heights Baptist Church in Wylie, Texas. During Steven’s 2 years at New Heights Baptist Church, under the leadership, guidance, and mentorship of Pastor Steve Foster, he was given significant practical ministry training and countless “hands-on” opportunities, all designed to prepare Steven for the pastorate. It would be 6 years after Steven’s call into the Gospel Ministry before the Lord would open a door for Steven to fulfill his call. Steven applied for the pastorate at Trinity Baptist Church on August 7, 2015, and was called to interview with the Pulpit Committee on November 21, 2015. Following the interview process, Steven was invited to preach at TBC in view of a call on December the 6th. On December the 9th, TBC conducted the vote. Steven received 98% of the church vote, and was extended the call to become the Pastor of Trinity Baptist Church. Steven accepted the call, and started as the new Pastor on Sunday, December 13, 2015. Steven’s ministry objectives are for God, and God alone to be glorified as he answers the Lord’s call to faithfully preach the Gospel of Jesus Christ. Steven seeks to teach the whole counsel of God without fear or compromise; to hold true to God’s Perfect Word; to evangelize the lost, and grow the Lord’s church through evangelism and discipleship. It will not take you long after visiting Trinity Baptist Church to see Steven’s love for the Lord, the church, and the members of TBC. Steven has a desire to equip the saints, strengthen their faith, cultivate spiritual maturity, and to prepare their hearts for the work of the ministry. 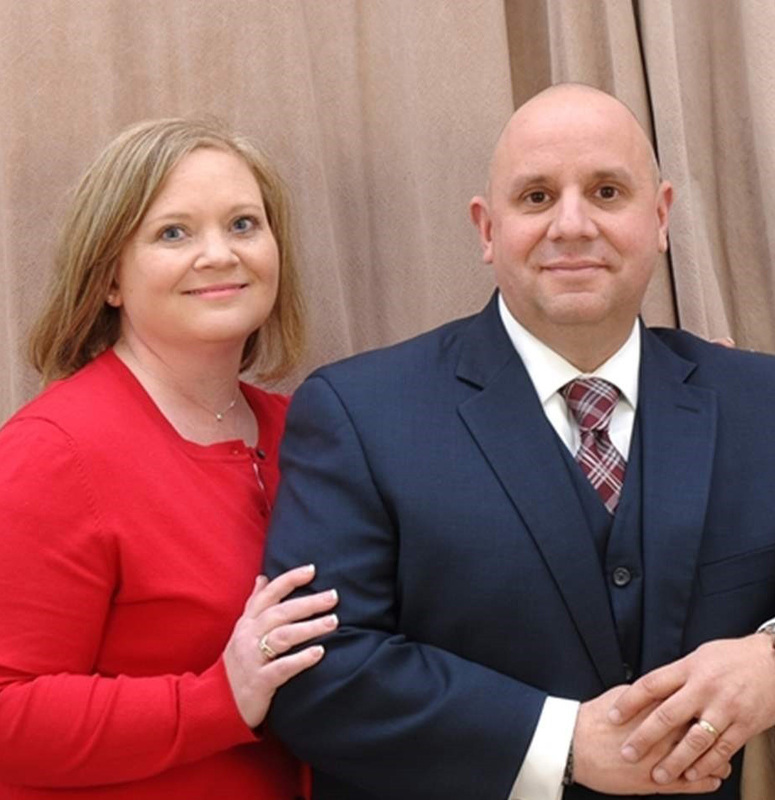 Married to his bride for 24 years, Steven and Amy have twins, Caleb (son) and Alyssa (daughter), who are 18 years old and very involved in the ministry of Trinity Baptist Church.